I was flipping thru a cooking maganize while shopping in the Spark Supermarket few days ago and came across this perfect side-dish for chapati. The addition of mushroom to green peas was something new to me and I just love mushroom very much. Actually I was just window shopping and have no idea of purchasing anything at all. After seeing the recipe I quickly grabbed some mushroom and green peas made my way back to the bus-stop forgetting about my window shopping. Hehehe!!!! Saute all the ingredient and grind to fine paste once cooled-set aside. Heat a skillet on medium pan and sputter mustard ,cumin and curry leaves. Add the grind paste and tomato puree. Saute till the oil starts to separate. Add the chopped tomatoes and mushroom . Add the chillie powder and milk-bring to boil. Finally add the green peas- adjust the level of salt. Once the gravy starts to thicken add the chopped coriander and transfer to serving platter. lovely combo...curry looks spicy nd delicious. 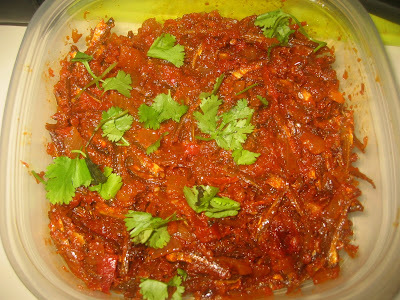 Can have with anything,delicious and flavourful masala. Oh My God. i'm simply drooling here. Wonderful presentation. Wow , i love to have with roti :)Simply superb !